Home » Blog » Where Can Property Owners Use Timber or Veneer Panels? Numerous property owners across Australia often think of revamping their office or home interiors and exteriors. In some cases, circumstances necessitate the change. In others, the property owners want to give their buildings a swanky new makeover. 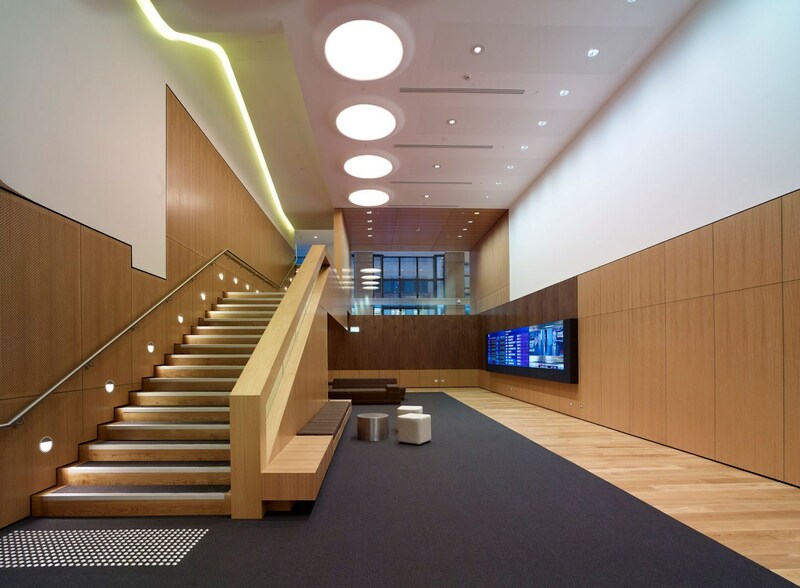 Occasionally, some property owners think of infusing veneer panels in their home and office interiors. The addition of these panels can alter the appearance of the building quite significantly. This makes them suitable for use in reception suites, boardrooms, lift lobbies, lecterns & podiums, retail interiors, fitting rooms, exhibition displays etc. Many people will have come across timber panels in Australia. These are among the most common examples of veneers. Woodworkers create veneers by shaving extremely thin pieces of wood from logs. Initially, veneers used to be 1/4th of an inch in thickness. The use of modern tools and procedures has enabled veneer manufacturers to produce exceedingly thin veneers. To produce veneer panels, the workers bond a thin layer of the veneer on to a substrate. The substrates commonly used include Medium Density Fibreboard (MDF), particleboard or plywood. Veneer surfaces will often comprise some variety of hardwood such as ebony, oak or rosewood. Veneer panels offer a myriad of uses. This trait makes them ideal for use in domestic and commercial settings alike. For ages, people have associated wooden veneer panels with sophistication, refinement and indulgence. Not surprisingly, these panels have made an appearance at various times in history. In Ancient Egypt, people decorated the tombs of their pharaohs with creations crafted from ebony. Similarly, the Renaissance period witnessed the widespread use of veneer panels as well. These days, you could walk into any high-end store and enjoy the visual appeal of these panels. The cabinetry, doors and the panelling that adorns the woodwork can not only bewitch visitors to the store. In many cases, these panels can convert visitors into shoppers by contributing to the overall shopping experience too. Timber panels can enhance the visual appeal of the interiors of a home. However, these panels are equally suitable for use in commercial applications as well. These panels come in a diverse range of timbers and styles. In addition, purchasing these panels from suppliers with appropriate levels of expertise in cutting, matching and finishing can produce spectacular results. Thus, you will easily be able to make your corporate offices, hotels and other commercial buildings look unique and superlative. In many churches and cathedrals, these panels exude a classic and timeless look. However, the veneer panels installed in the VIP area of the O2 venue in London exude a contemporary look. This trait attests to the versatility that veneer panels offer. For quality timber panels, simply shop at Processed Forest Products. We specialise in offering the best timber veneers. We select the choicest veneers by hand. And, we use cutting-edge machines to offer veneers adhering to the highest standards of quality. With over 40 years of experience, we can give you a wide range of FSC or PEFC certified products. To share your specifications, click here.